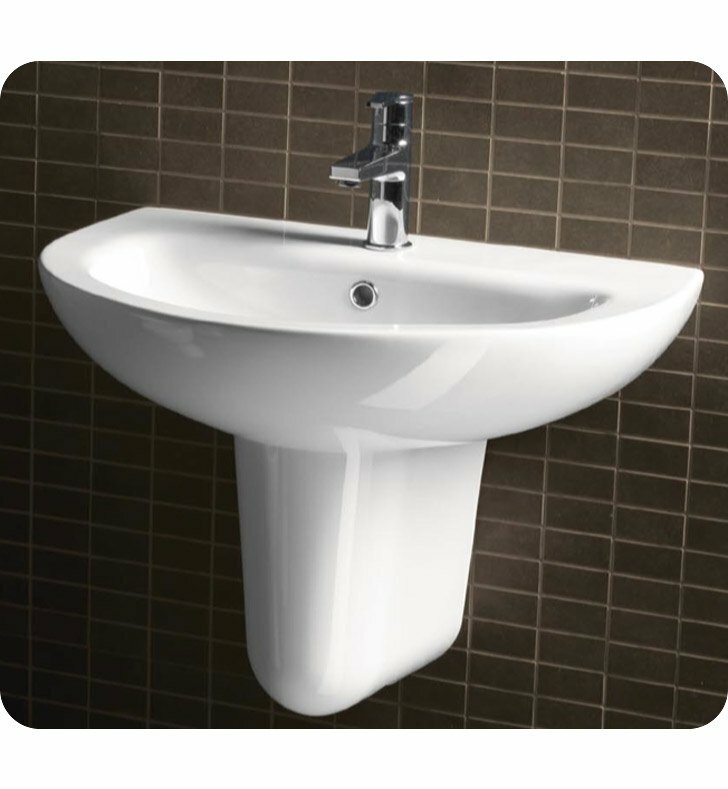 A high-end half pedestal ceramic sink made in the highest quality ceramic and finished in white. This no hole, one hole, or three holes ceramic bathroom sink from the GSI City collection is a contemporary-style bathroom sink. Made in Italy. Compliments your designer personal bath.